Its o’ fishal we have six more weeks of ice fishing guaranteed by Phil. Super Bowl is over and so is the lousy weather we just had. Phil promises no more -30 w.c. or rain, and he never lies. Starting tonight our temps here in Alpena will be back to normal winter weather. Tonight it will be about 15 and that appears to be the norm for the rest of February. This Sat there will be a free fishing tournament on Grand Lake. Goes until 7pm . No sign up, no fee, just prizes and fun. 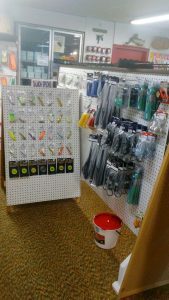 For more details, bait and Lorie Rigs, stop in here on your way. 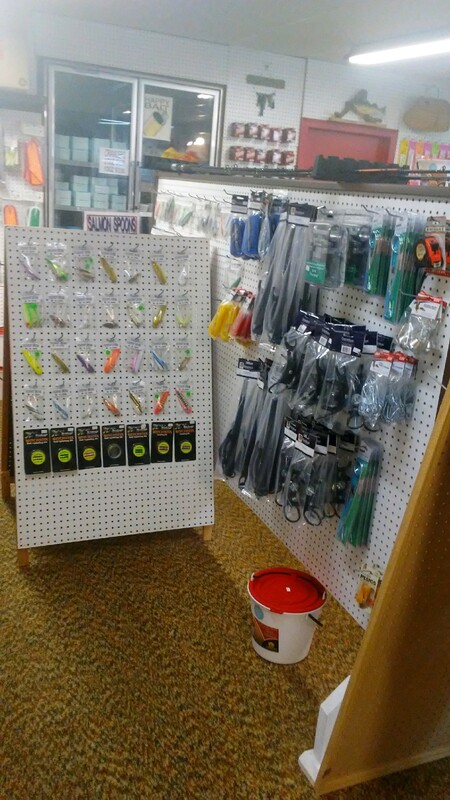 Lorie was nice enough to refill the racks with her Lorie Rigs, and we have plenty of bait and tackle left.